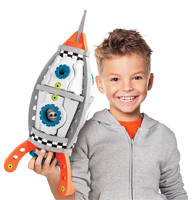 BC-25012 Kids love space exploration, and our new Galactic Mission will set them on a course for timeless hours of fun and countless creative possibilities as infinite as the universe. 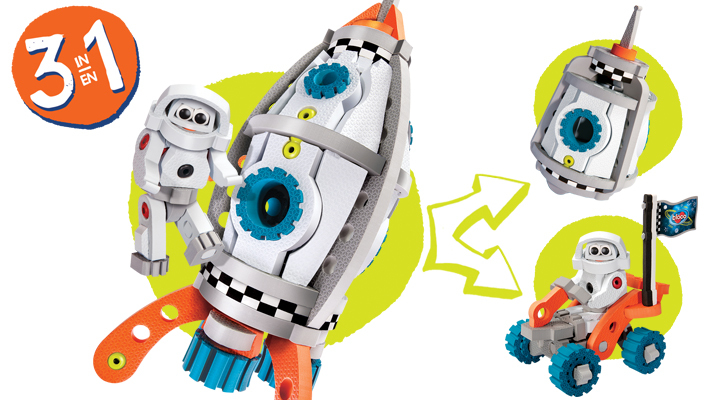 This 3-in-1 model mutates from a Rocket to a Space capsule and an Exploration Rover. 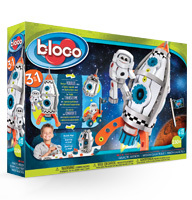 © Bloco - All Rights reserved.